Spirulina has numerous health benefits, one of the most notable is its ability to prevent and reduce cancer. And this is no myth. Its been proven in more than one study to help stop cancer from forming as well as to decrease cancer cell reproduction. How does it prevent cancer? The exact way in which spirulina prevents cancer is something that still needs to be studied more. But it is suggested by the University of Maryland Medical Center that spirulina increases production for infection fighting proteins, aka antibodies, as well as other cells that can increase immunity. 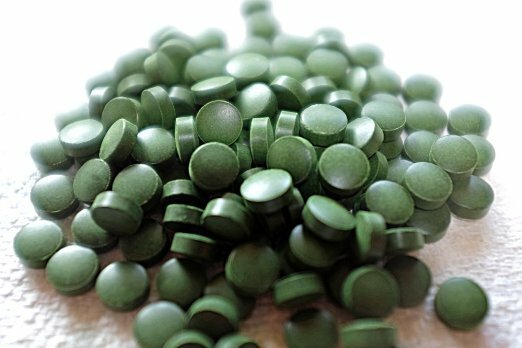 It could also be due to spirulina’s high concentration of tetrapyrrolic compounds that resemble biliruben, which is a powerful antioxidant and antiproliferative agent (can inhibit cell growth). There have been many studies on spirulina and its cancer fighting ability, ranging from human, to animal, to test tube studies. They all prove that spirulina can both, help prevent cancer as well as help stop cancer that is already formed. I’m guessing you probably want to know about the human studies. Here are 2 read-worthy studies of this kind. The first study that I came across was published in the Nutrition and Cancer Journal. Here spirulina was supplemented by a large number of tobacco chewers to see if it could act as a chemopreventative and help reverse oral leukoplakia (often an early sign of cancer). The subjects only consumed 1 gram per day, but did so for 12 months. The result was significant, 45% of the subjects showed complete regression of the leukoplakia lesions . Another very notable study, which was published in the Annals of Hepatology in 2014, actually tested the effects of spirulina on pre-existing cancer cells. It showed that spirulina consumption significantly decreased the reproduction of pancreatic cancer cells in humans. The decrease was dose dependant and the more spirulina supplemented resulted in less cancer cells . What cancers can it prevent or help stop? It seems that it can help with all cancers, breast, mouth, pancreatic, etc. If the University of Maryland Medical Center is correct with their suggestion as to why it prevents cancer, then yes it should prevent all kinds. Because what they are saying is just that it strengthens your body’s immune system, helping it fight anything that is unwanted or harmful such as cancer. Spirulina’s affects on cancer are promising but still require more research. I hope to be able to update this post in the future as new studies surface. Another natural cancer treatment that you might be interested in looking into is moringa. 1)Anti-cancer effects of blue-green alga Spirulina platensis, a natural source of bilirubin-like tetrapyrrolic compounds. Ann Hepatol. 2014 Mar-Apr;13(2):273-83. 2)Prevention of Experimental Oral Cancer by Extracts of Spirulina-Dunaliella Algae. Nutr Cancer 11, 127-134, 1988. 3)Evaluation of chemoprevention of oral cancer with Spirulina fusiformis. Nutr Cancer. 1995;24(2):197-202. I have recently become acquainted with Spirulina because it was an ingredient in a smoothie I enjoy. I didn’t know what it was but quickly found out and was amazed at its many health benefits. This is a true “Super Food” I intend to consume more of it. It tastes good and I want to eat foods that support my immune system. Well I don’t know about it tasting good… But its definitely a super food and does wonders for the immune system. I’m glad you found this post interesting. Wow. This is such a great article. I have never heard of Spirulina before reading this. And the fact that it has health benefits for cancer prevention is amazing. I’m someone who truly believes there are many natural ways to cure cancer (among other things) but we’re just not being told my the medical industry. This is why sites like this are so important. You’re giving honest information. And like I said, I didn’t know about spirulina before I found your site, so you’re doing guys like me, justice. Thanks for this info, I’ll be sure to favorite your site, as there is so much more I want to hear about spirulina! I’m right there with you. I agree the medical industry can be manipulative when it comes to selling more drugs and medications. Natural is the best way to go. I’m glad you found this article eye opening. The wonder drug for sure! I am thinking that the detox ability is what really helps with cancer. I wonder just how many diseases we could stop by simply not ingesting all of the toxins we normally consume. So0undslike I need to check this stull out! Thats something worth looking into. I would definitely think that its detox properties would be a big help. Hello here. I am glad to read the article about Spirulina, one of many gifts of nature. Spirulina has antioxidant properties and it lets her to give body protection from free radicals. Besides it, Spirulina is the source of vital nutrients which give the body all vitamins, proteins, enzymes to conquer problems in the body. Spirulina is a great food supplement. I wonder why children do not get it for lunch instead questionable food in their boxes. All the best with spreading the message about wonder food Spirulina.